On this weeks show, Michelle and Jayne chat through a range of Disney topics. 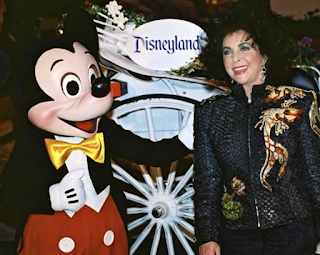 Elizabeth Taylor, in 1992, held her birthday party in Disneyland. If you had the opportunity to do this - how would you go about it? We chat through what we would do and Jayne is in park with friends and family to show them why she loves Disney so much. 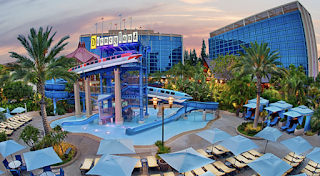 However, Michelle chose to have a pool party by the monorail slide at the Disneyland Hotel. Our next topic takes us to a listners question and we were asked what existing attraction would we uplevel to make it even more amazing. Jayne's idea was related to the Hall of Presidents. 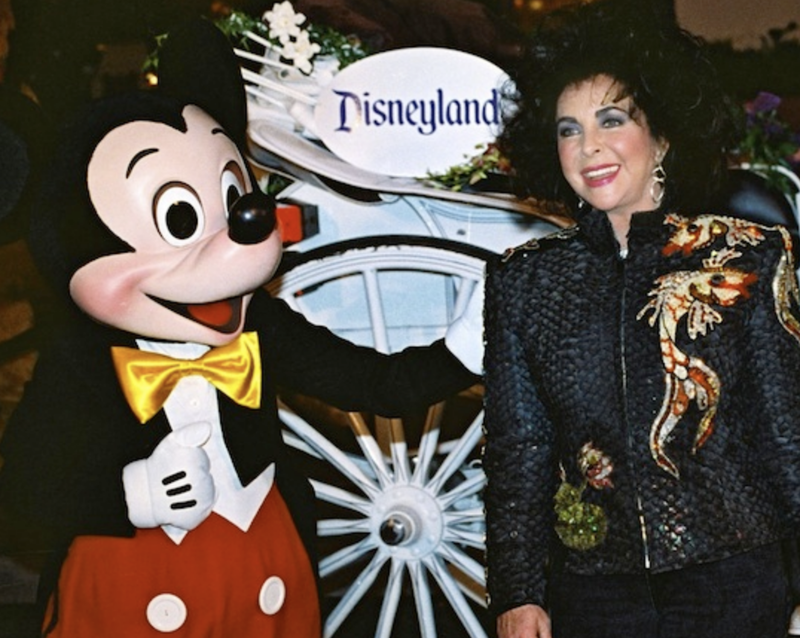 At the time of recording, neither of us have seen the new version but Michelle volunteered to visit. Jayne also suggested added levels of virtual reality to existing attraction for total submission into the theme. 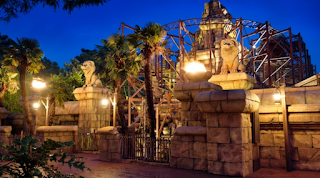 Michelle's suggestion took us to Disneyland Paris and the Indiana Jones themed rollercoaster. For this, her vision included adding a dark ride element in the style of Crushes Coaster with the rollercoaster element being the end of the attraction. Then the next question looked at what attraction would we insert into the parks from a francise that Disney does not already own. Jayne's thoughts lead her to a Tattoo parlour to go in to Disney Springs in the style of Ink Masters. Her second idea was a dinner show themed around Ru Paul's Drag Race with glitz, glamour, dinner and sarcasim. Michelle brought her love of Doctor Who to the podcast and suggested a 3d adventure to replace the currect Stitch attraction in Tomorrowland in WDW. Then they discussed the re-opening of Cafe Mickey's in DLP and Michelle had an idea to open a character dining option based on princesses and pirates with a Bibbidi Bobbidi Boo make over studio. However, what made this such a good idea was that adults could be made over! On this weeks show, Michelle is joined by good friend and previous guest - Rebecca Manion. On the show, we discuss a blog that Touring Plans published on 12th February 2018. 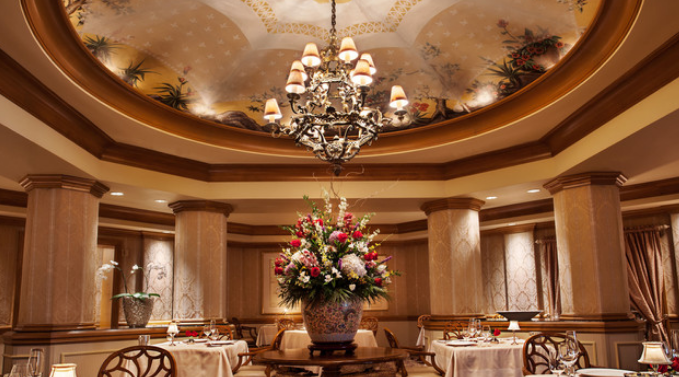 If you would like to read the whole article, please follow this link Top Ten WDW Table Service Restaurants. 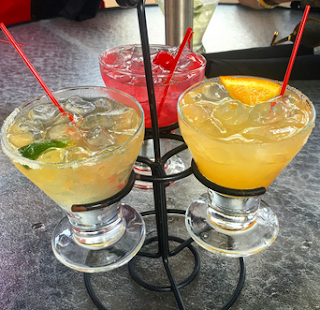 We discuss the list and our opinions on the restaurants that were featured. Luckily between us we have been able to have eaten at the eateries at least once - well all except for one! We must make it clear, the rating was given by those who responded to their survey and is not necessarily Touring Plans opinion (nor ours!) 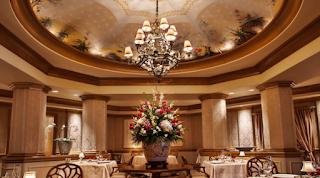 of what is the best Walt Disney World restaurant. But we would love to hear what yours is! We then moved on to look at the plans Becky has made for her two upcoming Disney trips by looking at the first trip she has - the Eastern Carribean. If you want to listen, whilst you read these notes, just click the audio player below. Alternatively, you can find our podcast in all good podcast catching apps or searching on iTunes (click here iTunes link) or Stitcher Radio. Coming up on todays show, Michelle and Jayne chat through some historical and recent news items then move on to a feature focussing on Pinocchio in the parks. Let’s go back to 1976, when it was decided to remove the Mickey Mouse Club Theater in Disneyland. 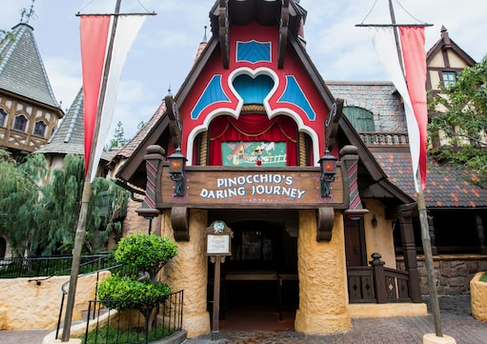 The plan was to put in a Pinocchio dark ride and this saw guests riding in cars designed to resemble Geppetto's wood-carved toys. However, it was shelved only to be revived to be added into Tokyo Disneyland in 1983. Gone was the toy shaped carts, as guests ride in a non descript ‘wood style’ cart. 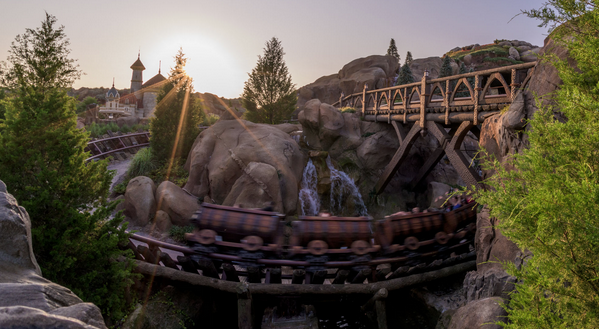 It then opened in Disneyland a month and a half later as part of a complete overhaul of Fantasyland. Just as originally planned, it is where the Mickey Mouse Club Theater originally stood. Whilst researching, I looked on the website for Tokyo Disneyland and this is its advices - it is ok on rainy days, it goes through darkness, will suit children under 3, Parents, children and grandparents. So no solo adults! Pinocchio and Gepetto meet nearly every day in Disneyland Paris, usually in Fantasyland near Bella Notte. 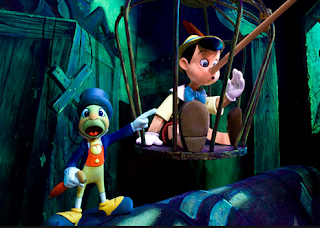 However, in the US parks, Pinocchio and Gepetto are tricky to find but they may be found separately in Epcot at the International Gateway or American Adventure. You can usually find Pinocchio in Fantasyland or World Bazaar at Tokyo Disneyland. Sadly the blue fairy has no meets anywhere but sometimes pops up in parades. It is a big no for Stromboli, with no meets anywhere for him. Gideon may meet at EPCOT otherwise it’s over to Paris or Tokyo. If you wan to meet John Worthington "Honest John" Foulfellow , he can only be met regularly in Fantasyland or the Med Harbor in Tokyo. 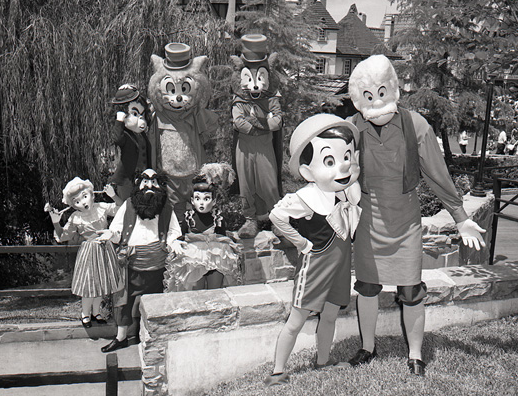 In previous years he has featured as one of the Villains for Halloween Time at Disneyland CA. 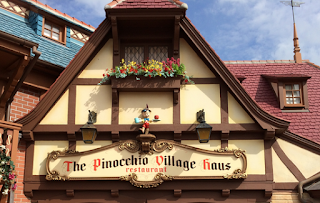 You can eat in a Pinocchio themed restaurant in Walt Disney World and Disneyland Paris. 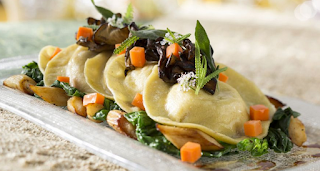 They have varied menus and whilst its not the most exciting of food choices, it is solid theme park fare that will suit the fussiest of appetites. 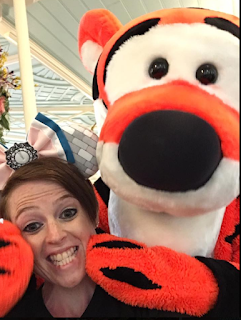 On this weeks podcast, Michelle is joined by the Dis Down Under Podcast - Kat and Lewis and together they chat through some top tips for visiting the Magic Kingdom. So read on and we will summarise below some key ideas. If you are an onsite guest you can book three fastpasses per day. 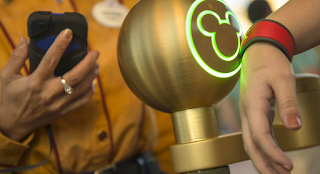 These can be booked 60 days in advance and they can reduce your wait times in attraction lines considerably. 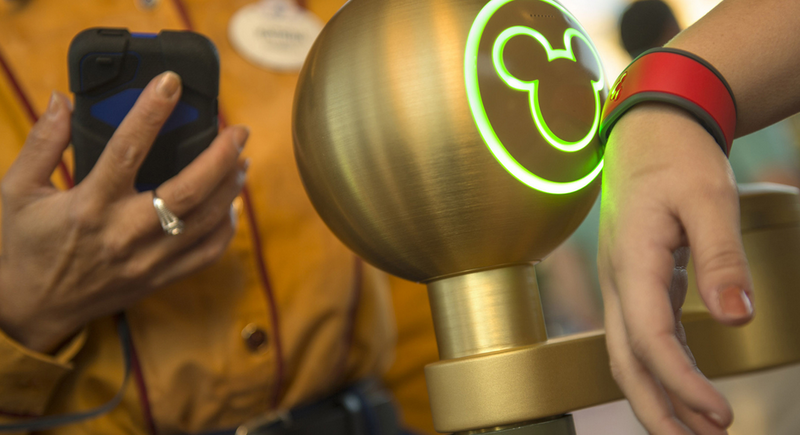 Once in the park and the three fastpasses have been used, you can visit the WDW app and book further ones (one at a time) to enjoy. Depending on your park strategy depends on how you use these. You could be an early morning person and want to use them first thing or perhaps you will leave them til later in the day. Whilst not all attractions have them, some fastpasses are more beneficial than others and we discuss some of the benefits on the show. 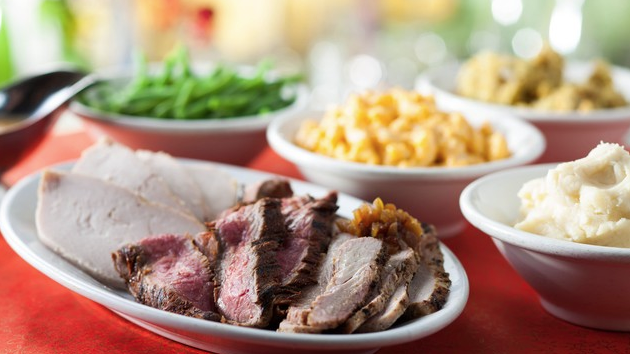 The Magic Kingdom has an array of eating options from snacks, quick service, character meals to table service. 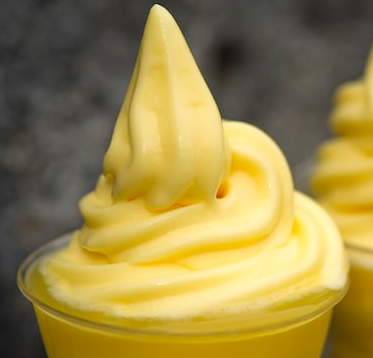 In our opinion some are better value than others but again alot is down to your viewpoint as a character meal is great if you want to get to meet and greet some hard to find characters but if you just want food on the go - the value may not be there for you. We muse over some options and favourites that the three of us will seek to book on our upcoming August trip. For an additional price you can have the benefit of assured view for the evenings fireworks. 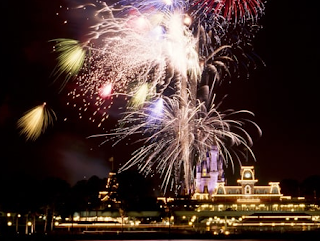 The Magic Kingdom offers two dessert parties and also a firework cruise. With prices per adult starting from $59 per adult they are not cheap but for a special occassion or for those on a quick trip (that might not have time to wait for a viewing spot) it may be of interest to them. However, if you want to get in to the park ahead of the crowds to ride Seven Dwarves Mine Train, The Many Adventures of Winnie Pooh and Peter Pans' Flight then the magic morning option could be for you as it also includes a breakfast - for the price of $65. Whatever you do before going to the Magic Kingdom - do your research! We highlighly recommend buying a guide book - such as the Unofficial Guide to Walt Disney World and subscribing to Touring Plans as both of these options will give you a wealth of information to save you time and ultimately a lot of money! Find out more by searing for the book title of visiting how to buy the Unofficial Guide. 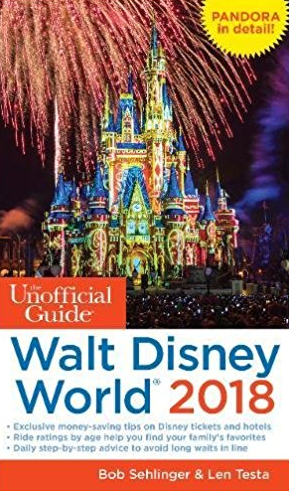 The Unofficial Guide - A Must Buy!